We rolled into Boston licking our wounds, as in the bites, stings, stabs, disembowelments, or whatever the native Maine insects inflicted upon us over the last four days. They are intense little buggers, that’s for certain. So a couple of nights in a hotel was just the respite we needed. 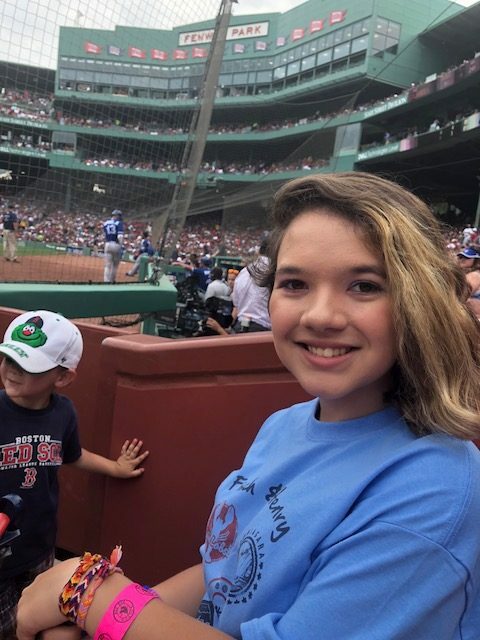 But Boston had other plans for us than a relaxing weekend–it wanted some fun! 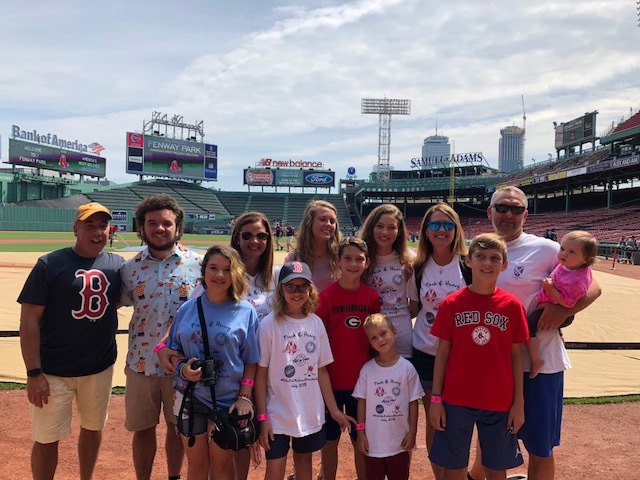 We were treated to amazing day at Fenway–the Red Sox gave us a tour, delicious lunch and great seats to an afternoon game and I can tell you that those that were already baseball fans were obviously smitten, but those who weren’t have fallen in love after this trip. 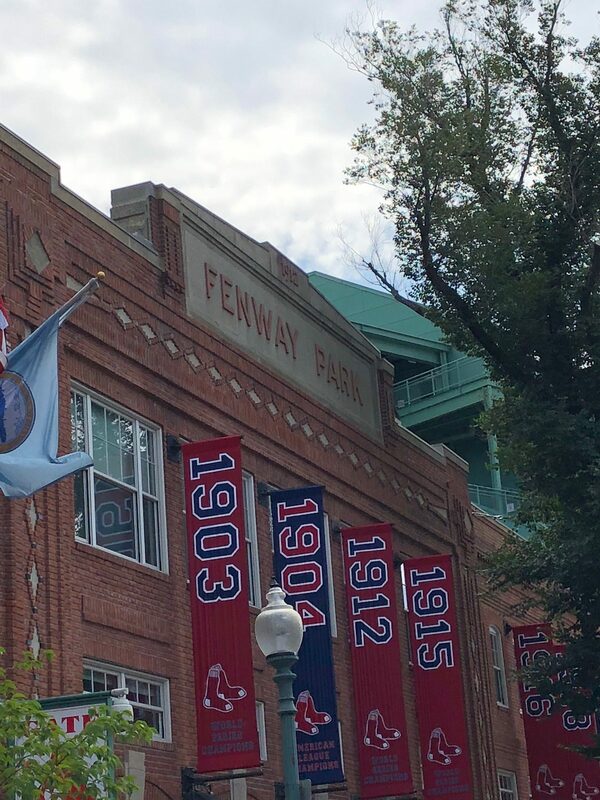 It’s hard not to surrounded by all that history and tradition. And because there’s never enough sports–some went on to an MLS game that evening after the baseball game, and the rest of us played rugby over dinner at perhaps too nice of a restaurant for our road-weary crew in our matching T-shirts. Our team of 13 now splits off to ten–Butch and Sundance will depart with a camp attendee, and Louise and I will make our way home in Viktor and the pace car by way of Hershey Park. I’m going to need some chocolate comfort facing the end of this amazing trip.